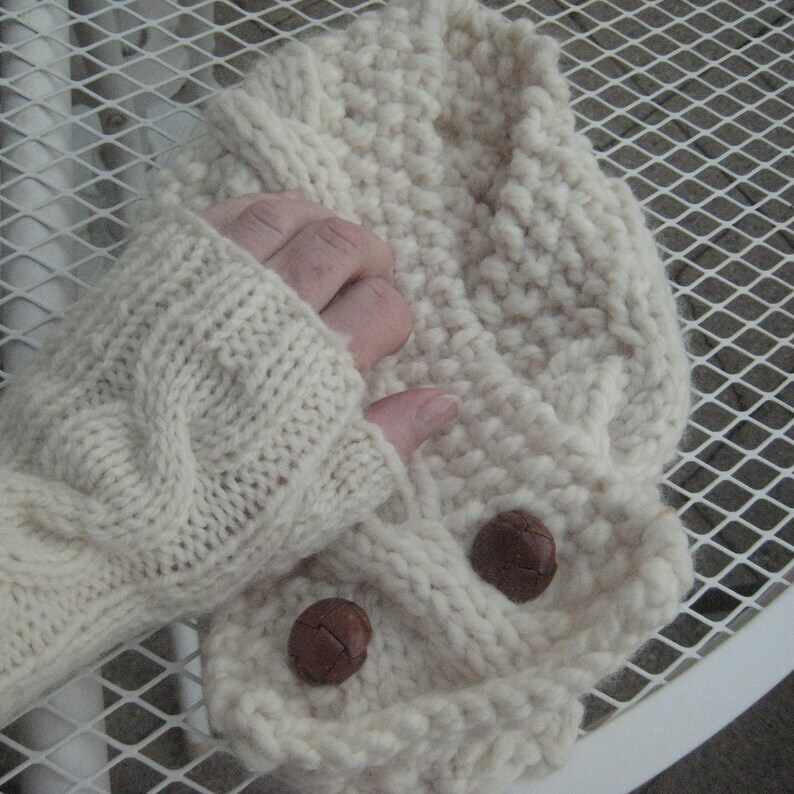 Two knitting patterns offered together for a reduced price One pattern is a cabled neck warmer and the other is for the matching January fingerless mitts. The patterns are my original designs and are for sale for personal use. They both knit up quickly in bulky yarn and would make great gifts. The patterns are in PDF form available for instant download.